Sticking to New Year’s resolutions has never been easier with the selection of smoothie recipes from the Wild Blueberry Association of North America. 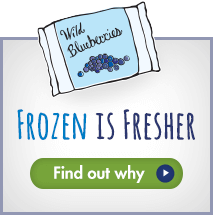 To inspire a vibrant and healthy new year, welcome wild blueberries into a daily diet and reap the rewards all year long. These nutritious berries provide lasting health benefits for all ages, from increasing brain function and memory, to preventing neurodegenerative diseases including Parkinson’s, and boosting mood and cognitive skills in young children and adults. Look no further than the small but mighty super-berry to reach new health heights in 2019. Start the morning right with an anthocyanin-rich, wake-up wild blueberry smoothie. Vegan, dairy-free, gluten-free, nut-free, cholesterol-free and low sodium, with no added sugar. Skip the daily coffee and instead boost energy levels with the power of instant coffee, combined with the nutrients abundant in wild blueberries. Aid digestion and boost immunity with a wild blueberry ginger kombucha smoothie. A natural smoothie that is gluten-free, vegan, refreshing and delicious. Make and enjoy breakfast-on-the-go or savour a wild blueberry smoothie bowl for a fulsome breakfast. Combining wild blueberries with exercise has proven to offer health benefits: the ability to burn fat longer after exercise, and improved absorption of inflammation-reducing antioxidant compounds, called polyphenols. Increasing the body’s ability to absorb polyphenols means the body can better fight inflammation and oxidative stress. Try a wild blueberry meal replacement smoothie or wild blueberry protein power smoothie as part of a post-workout routine to reap maximum benefits. Enjoy a delicious and nutritious wild blueberry basil cheesecake smoothie for a guilt-free dessert option. Tastes like dessert, yet it’s packed with anthocyanins, protein and fibre. Consultant to the Wild Blueberry Association of North America, Wilhelmina Kalt, Ph.D. is available to share her knowledge and research on the health benefits of wild blueberries. Dr. Kalt has studied the horticultural and food factors that influence fruit bioactive content. In more recent animal and human studies she has characterized how bioactive pigments, which are abundant in wild blueberries, are absorbed by the body. 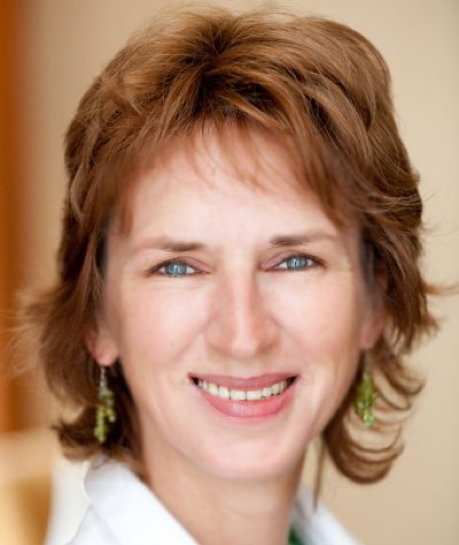 She has collaborated in clinical studies in various fields of biomedicine to examine the effects of wild blueberries in a free-living human population. Chef Christine Tizzard is available for interviews and in-studio cooking demonstrations to share her knowledge of the tiny but potent fruit. Christine, The 3 Way Chef, is a Maritime-born chef, food stylist, recipe developer and a lifelong lover of Canadian wild blueberries. 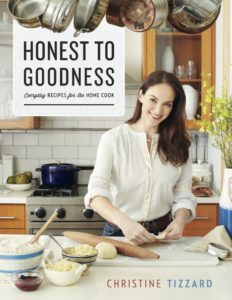 She is also the author of the critically-acclaimed cookbook Honest to Goodness: Recipes for the Everyday Home Cook, which shares her commitment to healthy eating and love for all things delicious. The Wild Blueberry Association of North America (WBANA) is an international trade association of growers and processors of wild blueberries from Quebec, New Brunswick, Nova Scotia, Prince Edward Island, Newfoundland and Maine, dedicated to bringing the wild blueberry health story and unique wild advantages to consumers and the trade worldwide. For news, recipes, and related health information about wild blueberries visit www.wildblueberryassociation.ca or www.wildblueberries.com. For the latest updates, read the blog. Visit on Facebook, Twitter, or Instagram.